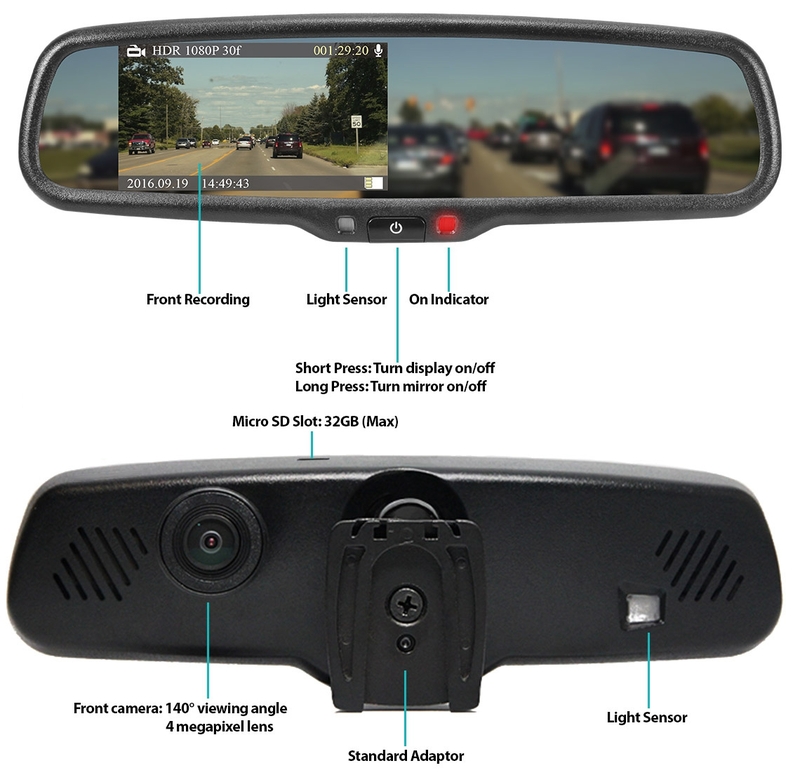 This Backup Camera system comes with a Replacement Rear View Mirror Monitor that replaces the OEM rear view mirror with a ultra-bright viewing screen and reflective surface that combine to provide an all-in-one backup ability. The monitor displays adjustable distance grid lines that assist in determining the position of your vehicle in relation to vehicles or objects behind you. This system not only provides the view of the backup camera on its 4.3" screen but also comes with a built-in forward facing camera that records high definition video footage out the front windshield. The camera records onto SD cards up to 32GB and when the card is full, recording will loop and start overwriting the oldest footage. This system is also equipped with a G-Sensor for event recording. Our G-Series monitor completely replaces your rear view mirror. This color CCD camera is built with heavy duty zinc metal which encases the 2.5 mm Sharp lens. 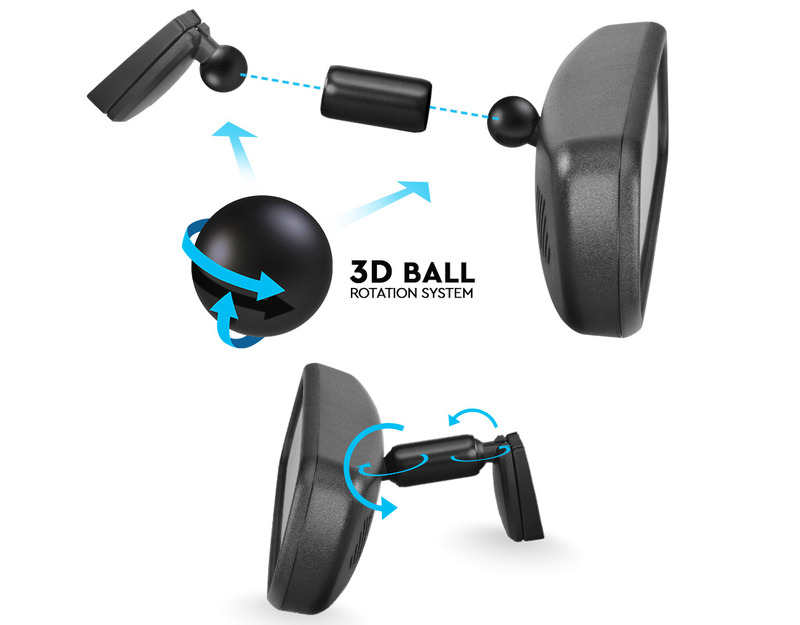 It has a viewing angle of 130° and 620 TV lines, which means you get the best quality image with no blind spots. 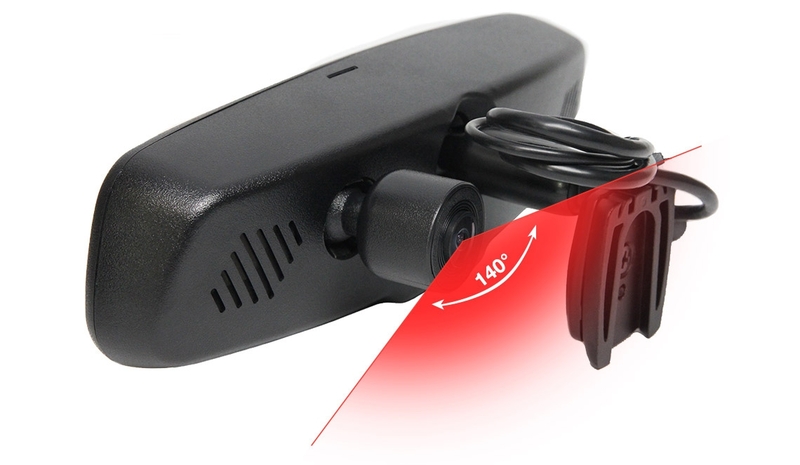 The 18 infra red lights allow you to see up to 50 feet even in the darkest night and the foam around the lens guarantees no glare from these infra reds. With an IP69K rating this camera will be fit to ride out any storm and boasts a 20G vibration rating as well as aircraft grade cable connections. Take a closer look at the components that make the RVS-770 a powerful, durable and reliable camera.